I am delighted to be able to play with Inkspire Me because I loved the idea of being able to add my own colour to the neutrals. I chose a colour that I seldom ever use - Pumpkin Pie. I found myself colouring in the flowers from Amazing You, a Sale-a-bration set, in the bright orange almost against my will! I started with a sponged stencilled background in Smoky Slate. I stamped the flower from Amazing You in Tuxedo Black and stamped extra leaves around it. 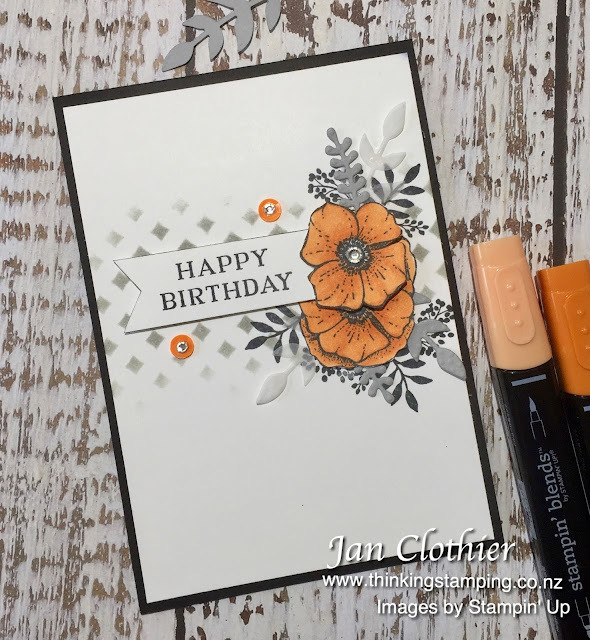 The spray is built up with Pumpkin Pie blooms, and die cuts in Smoky Slate and vellum from Bouquet Bunch framelits. 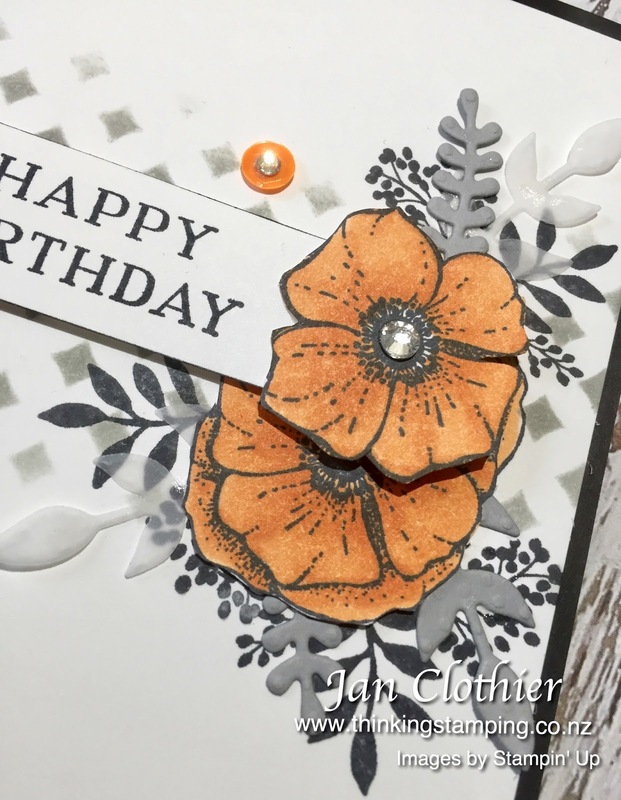 The sentiment is from Perennial Birthday, a new set from the Occasions catalogue. The Pumpkin Pie sequins are also from the Occasions catalogue and I've added a small rhinestone in the centre of them and one in the flower centre to make three. 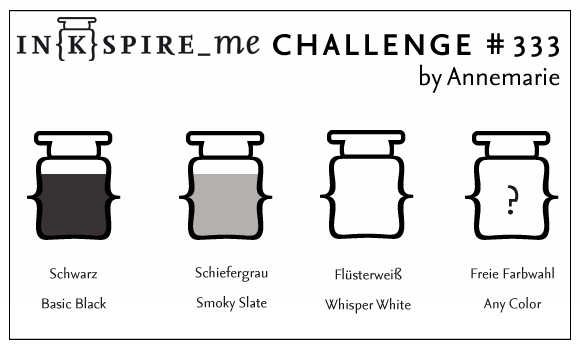 Update: Utterly delighted to be the Top Pick at Inkspire Me! Other: Stampin' Blends in Pumpkin Pie, Bouquet Bunch framelits, dimensionals, Pattern Party decorative mask, sponges, Tutti-Frutti adhesive backed sequins, rhinestones. Gorgeous Jan - so pretty! Gorgeous, a definite CASE card!